In an active housing market such as the Beacon Hill condo market, prospective sellers and buyers are in direct competition with their peers, and the best strategies to prevail in such conditions is to have the right real estate professionals guiding the transactions. Unlike Wall Street, the housing market isn’t a perfect information game where all parties have reasonable access to market data on equity securities. Some Beacon Hill real estate agents are bound to be privy to more relevant information than others, which is why buyers and sellers should search for the right professional. To find the ideal Beacon Hill real estate agent to manage your listing or acquisition, it’s recommended to follow a checklist with the items below. Verifying an agent’s licensing doesn’t have to be the first step, but it’s essential because it relates to state compliance. The Massachusetts Department of Real Estate allows you to check the licensing status and history of agencies and individuals along with disciplinary actions. This item resonates more with homeowners looking to sell than with buyers, but it can go both ways. In Boston, some agents choose to focus on helping Beacon Hill condo unit owners get the most out of the 2019 sellers’ market, but this experience could also be helpful to buyers who expect to get in a bidding war for prime listings. Most agents won’t hesitate to inform clients that they’re very busy. However, some won’t want to show their personal pipelines of closed deals. It’s usually easier to get this information from agencies that operate under a major franchise agreement because the brand is interested in proving their relevance in the regional market. The individual experience of an agent doesn’t weigh as heavily as the collective experience of his or her team members, especially when the agent operates under a known real estate franchise brand. In some cases, the most charismatic agents stay in touch with clients while supporting team members work diligently in the background. Buyers or sellers shouldn’t be afraid to ask for a few references they can corroborate. This being Boston, some agencies will hang autographed photos of local celebrities who were happy with the service received, while others may hang framed newspaper clippings if they’ve been mentioned or quoted. Running a Google search for the names of agents or agencies to see if they show on Boston Globe reports is a good strategy. An ideal Beacon Hill real estate agent will ask various questions about client expectations. 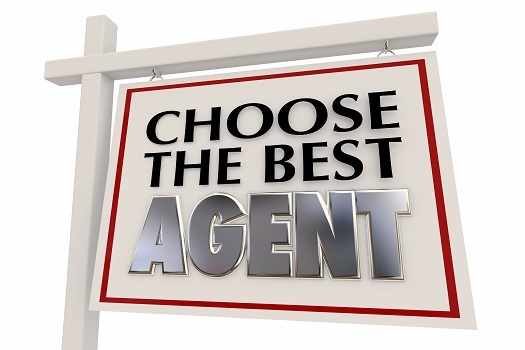 In some instances, an agent may not work with buyers who are looking for absolute bargains or are interested in distressed properties because those aren’t listings the agent is experienced in. If you’re interested in buying or selling condos, lofts, or penthouses, downtown Beacon Hill has many options to choose from, and you’ll need a trusted agent who knows the area well. Get in touch with Ford Realty to schedule an appointment with one of our friendly and reliable agents.